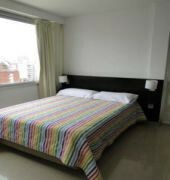 Jujuy In Suite features self-catering rooms with a 26%u201D flat-screen TV and free Wi-Fi access. 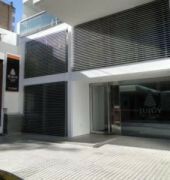 Located in Rosario, it is a 10-minute drive away from the Museum of Contemporary Art of Rosario. Each air-conditioned room features deluxe bedding and furniture. It features a private balcony where guests can relax with a drink from the minibar. All rooms have an open-plan kitchen which has a stove, full-size fridge and a microwave. It includes a spacious work space as well as a four-seater dining table. 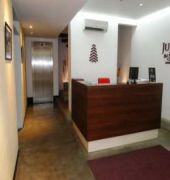 Jujuy In Suite Apart Hotel is a 20-minute drive away from Rosario Airport. The Rosario Omnibus Station is 2 km away.